An opera singing Scots builder has been invited to perform at an international peace day event in New York. 41-year-old, Martin Aelred from Falkirk is about to take the opera world by storm. He has already wowed critics on both sides of the Atlantic, singing arias from classic Italian composer Puccini. In an interview with the Scottish Daily Record, Martin said his workmates thought he'd been "on the drink" when he announced he was going to be an opera singer. But Martin has had the last laugh as he prepares to sing in front of thousands at the United Nations International Peace Day on September 21. He also told the newspaper that he has accepted an invitation to perform as the tenor with the Cairo Philharmonic Orchestra in December in front of the Pyramids on the day the planets are aligned. He said: "I decided to take up opera singing after hearing Puccini. My dad loved the composer's work. "I went for lessons in Edinburgh with Rupert Forbes, a retired singer. "I don't read music and can't speak Italian so Rupert was a bit taken aback. "But he saw the hunger in me and realised I wasn't there to waste his time. I started the lessons in January 2009 and went for seven months. "After about three months I felt I was improving. "Last year I saw an advert on a website asking if anyone would like to sing at St John's Church in Edinburgh. An exciting new music event kick’s off this weekend at Loch Lomond Shores on board the ‘Maid of The Loch’ paddle steamer. It’s one of a series of events planned to rock the loch this summer with the aim of raising the £3m needed to get the Maid back in action and sailing again. The first ‘Rock the Boat’ starts this Saturday 31st July, and will feature three stages over two days and promises to be the bash of the summer with over 20 bands and 10 top DJs playing on the ship’s deck from 2pm until 3am. The series of events was put together by Glasgow promoters Alex McNally and Stevie Wilson, who are behind Chemical Works Live and Diversify. They have given themselves one year to raise the £3 million target to get the boat restored. The pair vow to rock the loch with a stellar line-up including Dumbarton band The Haze, The Soviets, The Manikees, The Blackhand Gang, Cheviot Hoods, Girobabies, The Only Jones, Johnny and the Giros, The Fast Camels, DJs John Mancini, Stevie Wilson and the guys from Diversify, plus many more. The event, which will include a fancy dress competition with VIP tickets up for grabs for Rock the Boat 2 for `the best dressed pirate`, is an over 18s ticket only event. Tickets are priced at £15 each and are available at local venues. A judge in Sydney has ordered the Australian band Men at Work to hand over a portion of the royalties from their 1980s hit Down Under, after previously ruling its distinctive flute riff was copied from a children's campfire song. EMI is to hand over 5% of all royalties earned from Men At Work’s Down Under to independent music publisher Larrikin Music following the ruling. The company alleged that Men At Work's most famous track used a segment of the famous Australian children's folk song Kookaburra Sits In The Old Gum Tree without permission and that they were due a cut of the royalties as a result. It remains to be seen if EMI continue to appeal the original 'Down Under' ruling given the relatively modest royalty share awarded to Larrikin. Whether they do may depend on whether Larrikin appeal the royalty share judgment. Digital music station BBC 6 Music has been granted a reprieve with the BBC Trust announcing that the digital music station will stay on the air pending a broader review of the broadcaster’s digital radio activities. Responding to the BBC strategy review, BBC Trust Chairman Sir Michael Lyons said that the case for the closure of 6 Music had not been made. But the Trust accepted plans to close the Asian Network, cut 25% of the online budget and close teen service Blast! A high-profile campaign to save 6 Music was set up after a strategic review of the BBC's services was announced in March. The Trust published its initial conclusions to the strategy review alongside the BBC's Annual Report. In a statement, the Trust said: "The Trust concludes that, as things stand, the case has not been made for the closure of 6 Music. "The Executive should draw up an overarching strategy for digital radio. If the director general wanted to propose a different shape for the BBC's music radio stations as part of a new strategy, the trust would consider it. "The trust would consider a formal proposal for the closure of the Asian Network, although this must include a proposition for meeting the needs of the station's audience in different ways." Musicians including David Bowie, Lily Allen, Damon Albarn and Coldplay lent their support to 6 Music when its closure was tabled. 6 Music was launched in 2002, the first national music radio station to be launched by the BBC in 32 years. Amongst its main roster of rock and indie shows, it has featured regular DJ mixes and shows from international music luminaries like Erol Alkan and Andy Weatherall and others. 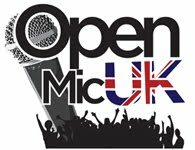 Auditions for Open Mic UK, the biggest national music competition for singers and solo artists, return to Glasgow this August. Last year saw over eight thousand unsigned singers and solo artists from across the country enter the competition and this year it's set to be even bigger. The competition travels across the country in search of the UK's best singers, singer-songwriters, rappers and vocalists. The competition is open to all genres, whether you’re into RnB, Rap, Acoustic, Pop or Classical. Open Mic UK not only offers entrants the chance to win prizes, but the opportunity to perform live in some of the best music venues in the country and the chance to make it to the Grand Final which will take place in London’s 02. Acts can perform either covers or original material and they’ll be invited to a live audition in front of a judging panel made up of industry insiders, A&R, vocal coaches and guest celebrities. Reading festival is to pilot a new scheme which restricts when festival-goers can bring alcohol onto the site this year. The new rules will prevent fans from bringing their own alcohol into the venue after 6pm on the Sunday (29 August). Firewood and campfires will also be monitored. The rules have come in response to a report published by Reading Borough Council on last year's festival. The report said: "As groups grew in numbers they began moving around the site committing crime and acting in a disorderly and anti-social manner. "Numerous fires were started, telegraph poles carrying onsite lighting were tampered with, sections of fencing were ripped up and hedgerows, tents, rubbish and combustibles were set alight." Organisers Festival Republic, in conjunction with the local council, has also agreed to increase night-time security throughout the whole event. The Reading festival takes place from August 27-29 and will be headlined by Guns N' Roses, Arcade Fire and Blink-182. The trial will not affect the corresponding Leeds festival held on the same weekend. Homeland is the first studio album in nine years, from New York based performance artist, Laurie Anderson. The album combines personal acoustic songs with the synth-powered social commentary of her 1980s heyday. Things that really fire Anderson up are the developments in world politics, with an emphasis on American misadventures at home and abroad, the substance of ‘Homeland’ is explicitly political. Stunning opener, Transitory Life is a Zen-like overview of 21st century human greed set to North African wind instruments. Anderson summons chamber music on, Thinking of You, and echoes classic Motown on the lyrics to Strange Perfumes. The album’s show stopping track is the most forceful piece, Only an Expert, a chunk of pounding electro which raises a quizzical eyebrow at our trust in so-called experts: Anderson takes aim at bank bailouts, the Iraq war and climate change denial and the roaring guitar feedback from Anderson's hubby, Lou Reed. For every blatant political turn on the album, Anderson includes an atmospheric meditation on modern existence. It's the quieter moments such as Transitory Life, backed by Tuvan throat singers and igil players that have the greatest impact. It is not all political, though: several of the compositions are personal in tone. Homeland, in its entirety is not so much an album as it is a poetic capturing of the still moments of a restless mind, and is true to the popular-classical crossover spirit of Laurie Anderson's best work.